In between Yamba and Coffs Harbour is located Yuraygir National Park. 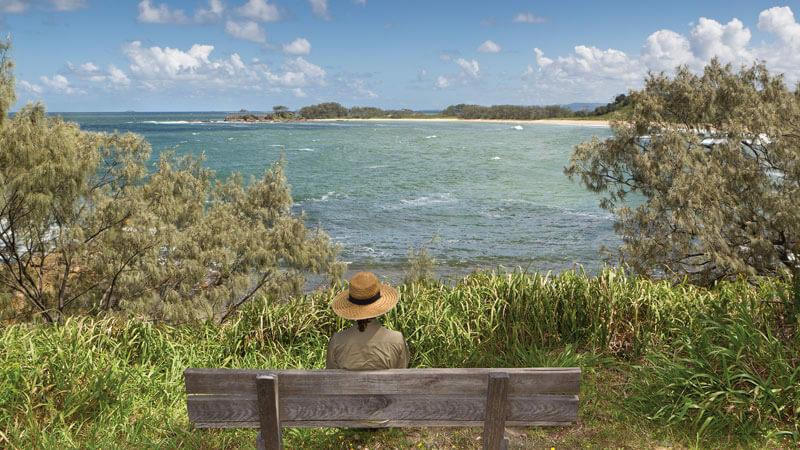 With amazing coastal walks where you can enjoy whale watching, swimming and fishing activities, as well as beautiful picnic areas, freshwater lakes, gum walks, the Yuraygir National Park is one incredible location you don’t want to miss when you are staying in Yamba. To get to the park from The Cove Holiday Apartments Yamba, the easiest access point is the Brooms Head Road entry which is half an hour south of Yamba. This entry point to the park will allow you to most easily access the Angourie to Brooms Head coastal walk which offers scenic lookouts, beach walks, whale watching and bird watching. It will also take you past lake Arragan which offers picnic and campground right on the beach. Park entry fees do apply which can be found on the NSW national parks website. Make the most of your stay in Yamba and see one of the most beautiful parts of the world. Book your stay at The Cove Yamba Holiday Apartments today and talk to our fantastic reception staff for more information about getting around and making your way to Yuraygir National Park.